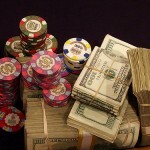 Here’s a summary of the high stake poker action from the 2nd week of February 2011. During the week between February 6 and 13, the online poker action was yet again sizzling at both Full Tilt Poker and PokerStars. Jared Bleznick and Daniel Cates took center stage yet again, although not for the reasons they would’ve preferred. 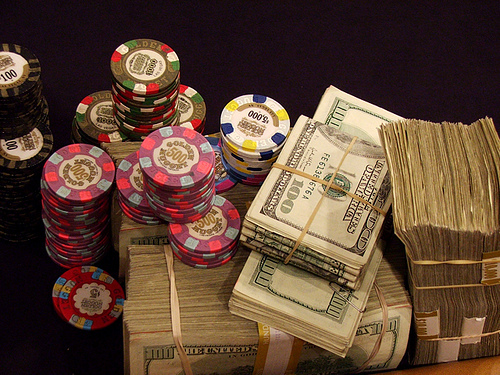 They both dropped serious amounts of money to players relatively unknown for the high stakes railbird community. Gus Hansen represented the other end of the spectrum as he kept his winning streak alive by taking down a $570k profit in only 651 hands spread over 8 sessions. Ironically, the largest pot of the week went down between the two losers, Bleznick and Cates, at the $300/$600 PLO tables at Full Tilt Poker. Following the usual preflop tussle which had already stuffed the pot nicely, the Kd, 7d, Qs flop ignited a little more give and take. The 9d on the turn was the last straw as both players shipped all their chips into the middle in its wake. Both players were right to shove all-in as they both had K-high straights. The river card was run twice, and the Kh on the first run split the pot between the players. The 9c on the second run though gave the win to Bleznich who thus ended up with three quarters of the $130k pot. Bleznick returned to action at PokerStars on Wednesday, only to drop around $114k to a guy named MrSweets28. Cates also saw action at Full Tilt Poker, locking horns with a Swedish player known under the moniker Lindqvro at the $25/$50 heads-up PLO tables. The affair turned into quite a bloodbath, with Cates filling the shoes of the harmed party. Both monster pots that developed ended up in Lindqvro’s possession. Gus Hansen and rumramper finished with the biggest profits, as Andreas Torbergsen joined the winners’ list too. UarePileous was the biggest loser, followed by Phil Galfond, Jared Bleznick and Daniel Cates.